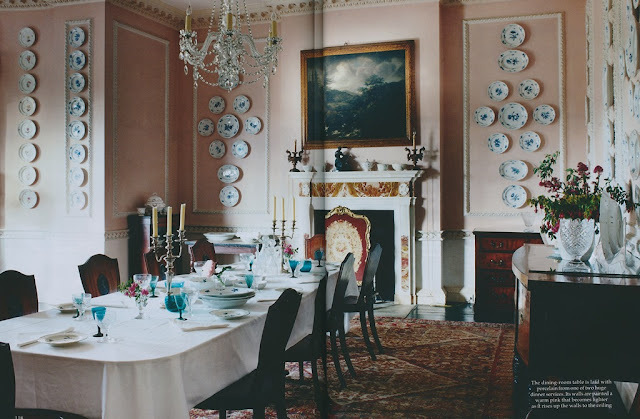 If the name Smedmore House doesn't ring a bell, then perhaps the photo of its ravishing pink dining room, copiously adorned with blue and white Fürstenberg china, will. (See above.) Has there been a prettier dining room in recent memory? 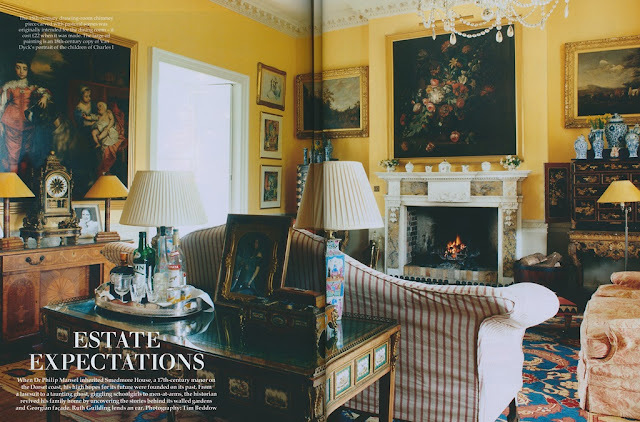 I was first introduced to Smedmore House, the ancestral home of British author and historian, Dr. Philip Mansel, in World of Interiors, followed a year later by an article in Country Life. An 18th-century Georgian house located in Dorset, Smedmore is especially appealing to me because, although effusively decorated, the interiors have maintained a comfortable amount of breathing room between objects and furnishings. 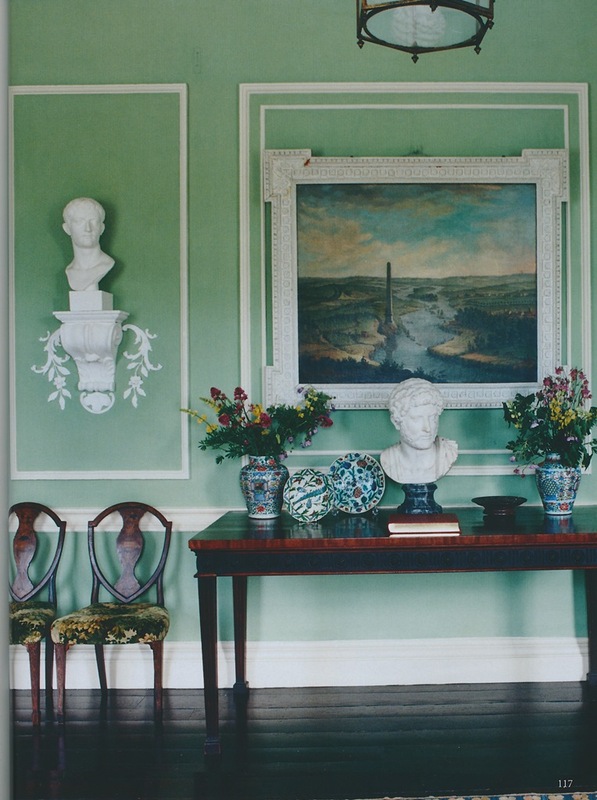 Because country houses suffocating with stuff disconcert me, I appreciate the fact that Dr. Mansel took a measured approach to decorating his home. 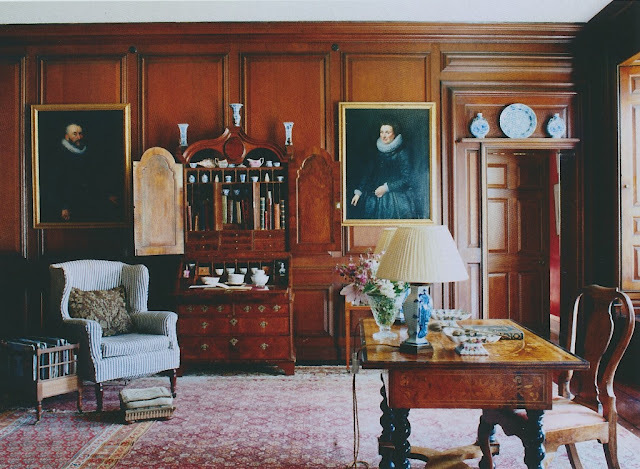 Also enticing is the home's stately environment- not surprising, perhaps, considering that Dr. Mansel is a founding member of The Society for Court Studies, an organization that encourages the study of royal courts. 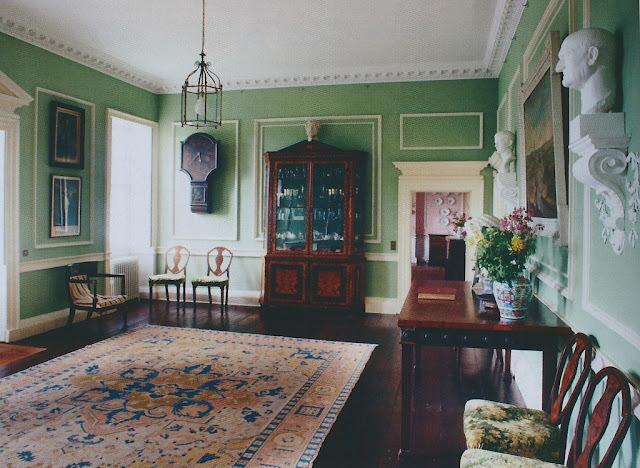 The yellow drawing room is equal parts elegance and coziness, while the dining room, whose dignified shade of pink was chosen by architectural historian Gervase Jackson-Stops, is a picture of refinement. If you find these photos enticing, you're in luck. 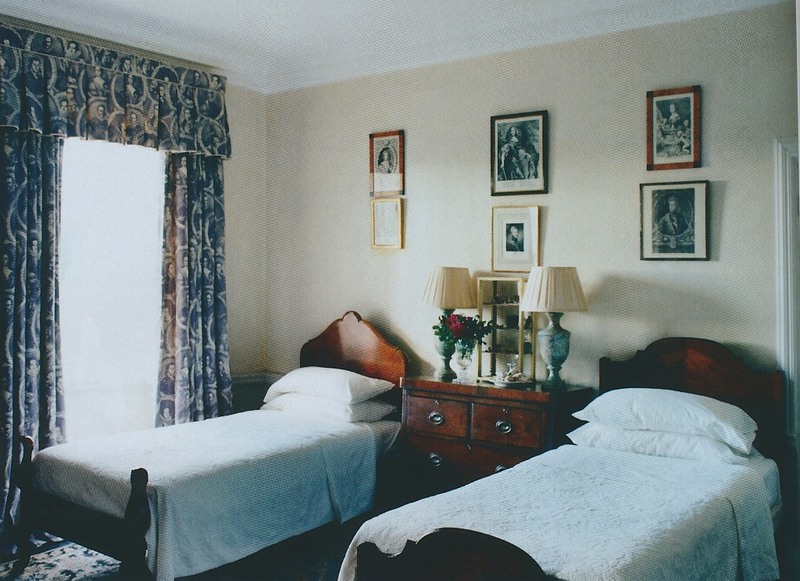 According to its website, Smedmore House can be rented for holidays and events. As I read last Saturday's edition of the Financial Times, I came across a small version of the photo above, which accompanied an article on London real estate. 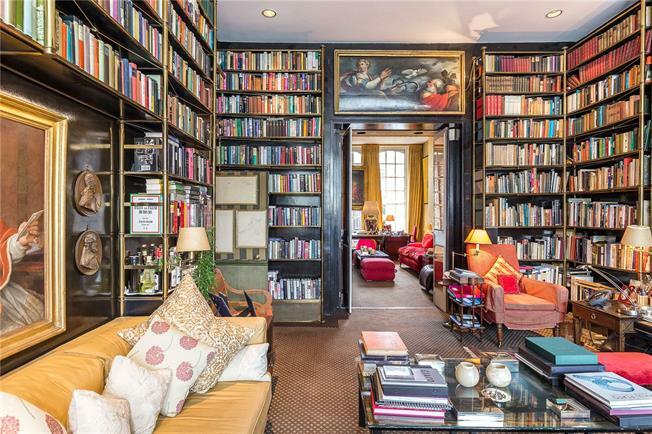 The rich wall color, more of an egg-yolk shade in the paper's version of the photo, first caught my eye, followed by those walls of books, books, and more books. The apartment seemed familiar to me, and yet, I couldn't place it. 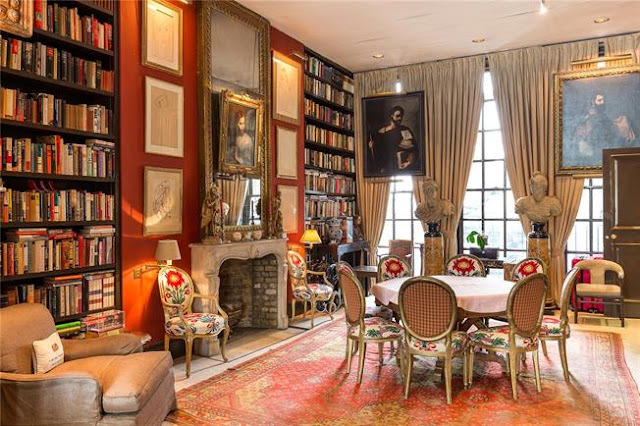 The only information I could glean from the article was that the three-bedroom apartment was located in an 1879 building in Chelsea. 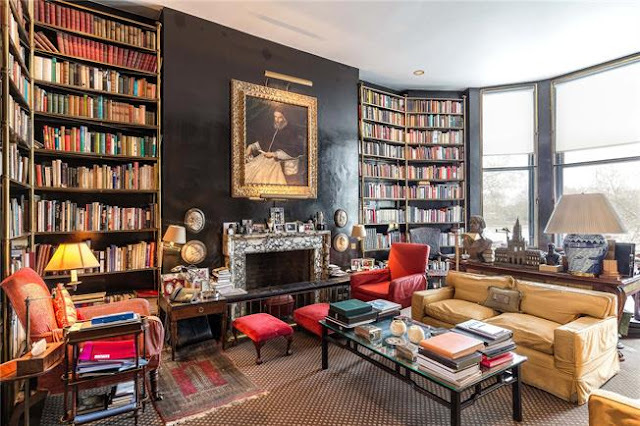 Intrigued and wanting to see more, I visited the website of the brokerage firm, Hamptons International, to see the listing. 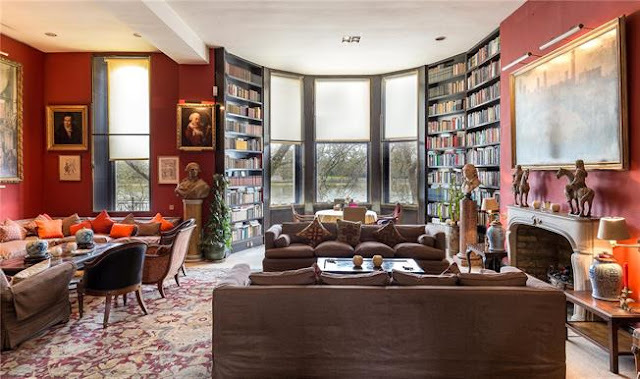 Described as having been under the same ownership for the past forty years, the apartment is touted as "of historic importance." And two photos into the slideshow, I quickly understood its importance, recognizing it as the Geoffrey Bennison-designed apartment of the late Lord Weidenfeld, publisher extraordinaire. 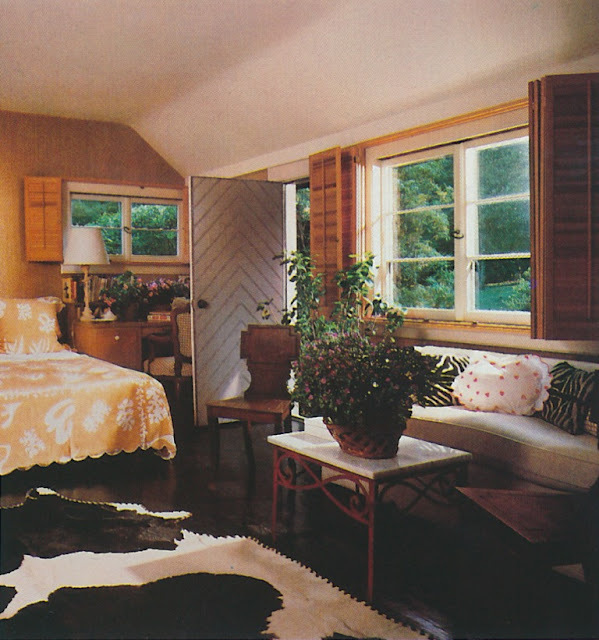 Decorated in the early 1970s, the apartment, which can also been seen in Gillian Newberry's Geoffrey Bennison: Master Decorator, seems to have changed little through the decades, a testament to Bennison's design genius. 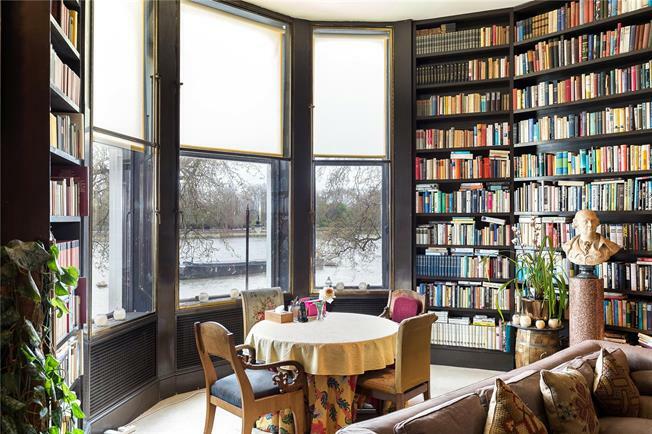 Considering that Weidenfeld, who died at 96 earlier this year, was a prominent man-about-town and an avid entertainer, Bennison decorated the apartment to accommodate the homeowner's frequent gatherings. 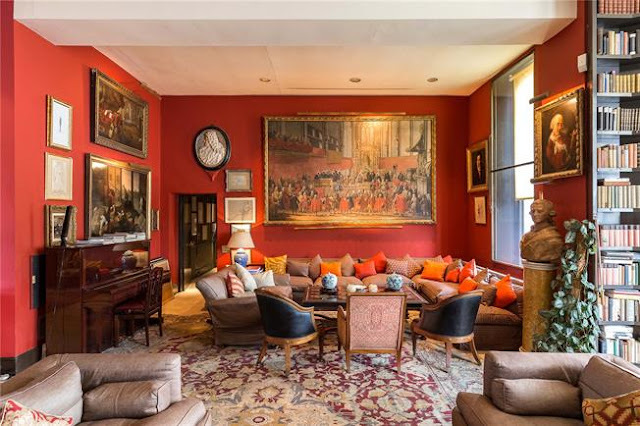 Seating seems never more than a few steps away, while the open plan of the drawing and dining rooms provides flexibility: spacious enough for large gatherings, but with a few intimately-sized areas, conducive to small get-togethers and dinners, too. 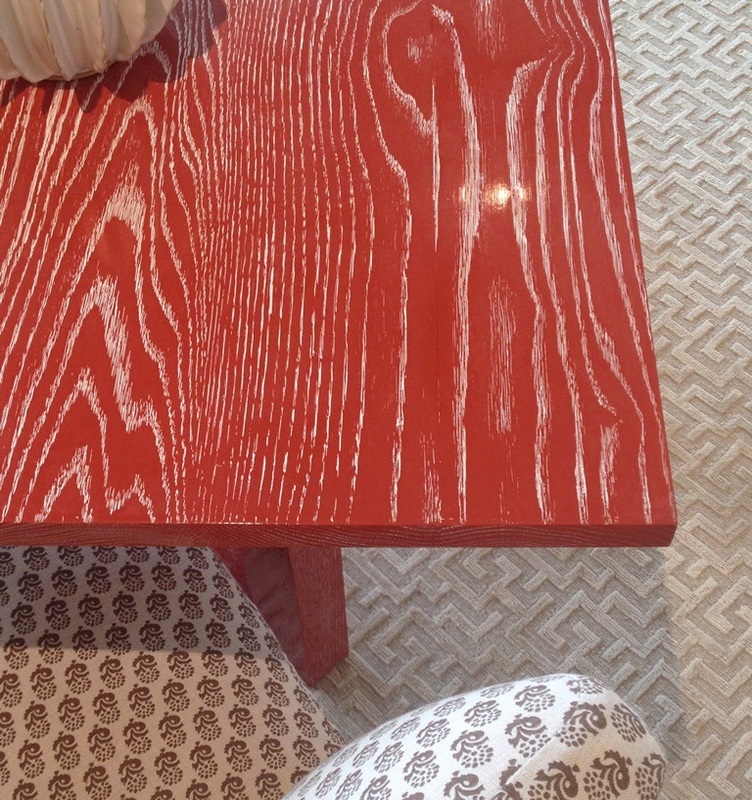 There are more photos on the Hamptons International online listing, so I encourage you to visit the website to see more. 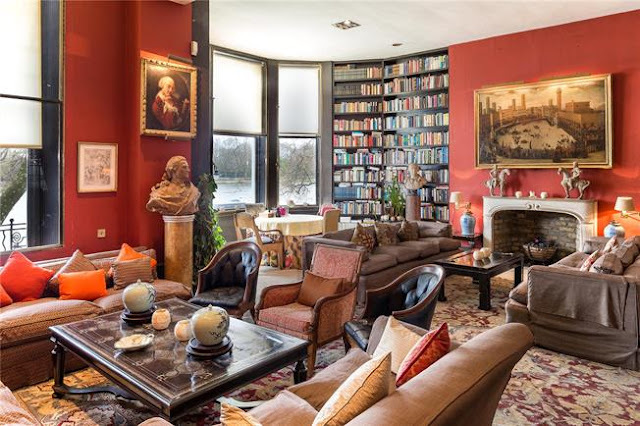 And in case you're wondering, the apartment is currently listed for £9,250,000. Recently, two neighbors of mine, both fellow children of the Eighties, joined me in watching my all-time favorite mini-series, Lace, which I sheepishly admit to owning on DVD. I adore Lace, because everything about it captured the flash and the cash of the 1980s, though in slightly dramatic fashion. Most of the characters were chauffeured around in Rolls-Royces, donned high-fashion wardrobes (think Ungaro by day, Vicky Tiel by night), and plotted revenge and love affairs while frequenting only the most glamorous locales, including Ascot and various French chateaux. Life wasn't bad for the lead characters, except for that secret that almost led to their undoing. 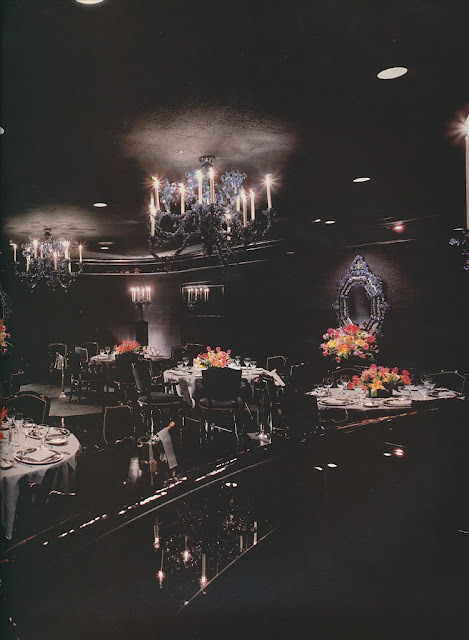 With Eighties decadence on the brain, it seems fitting to talk about The Carlyle, a Houston, Texas restaurant that, no doubt, would have been just the sort of establishment that the ladies of Lace would have been drawn to. 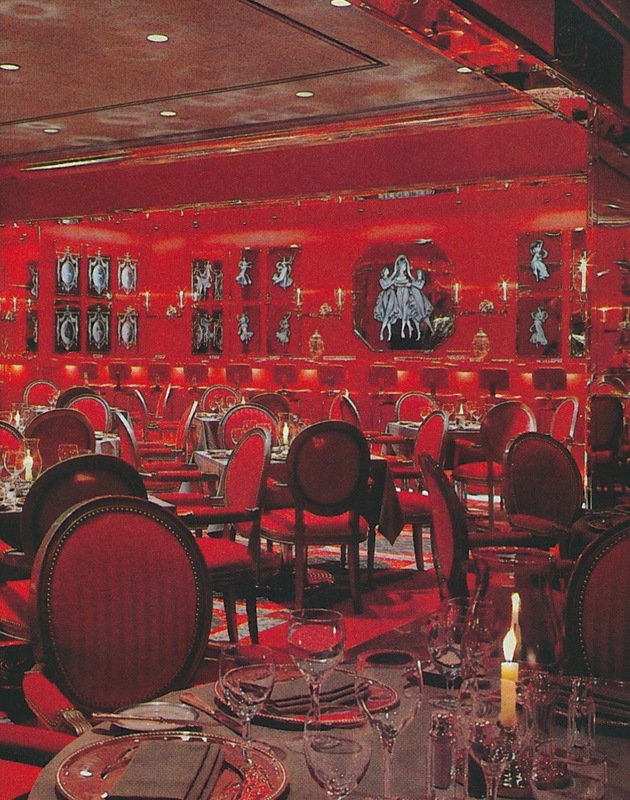 Decorated by that virtuoso of haute luxury, designer Valerian Rybar, The Carlyle was a veritable den of design iniquity, all mirror, velvet, wanton red, and risque black. Named after the Upper East Side hotel, The Carlyle was opened in 1983 by Houston businessman, Harold Farb, who gave carte blanche to Rybar. And it's a good thing he did, too, because otherwise, we might not have had the opportunity to behold such a lavishly appointed restaurant. 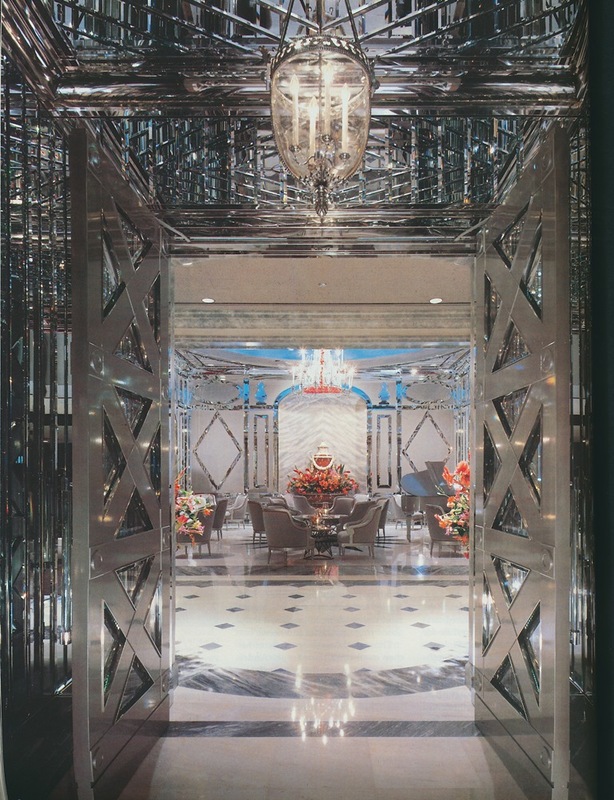 There was a mirror-clad Entrance Foyer that led to the Reception Room, which was outfitted in an Eighties-inflected version of the Neoclassical style. "Although I call it Neo-Classical, the result incorporates elements deriving from ancient Rome, the Baroque, the Directoire period," opined Rybar. "The cool discipline of a Neo-Classical frameworks allows you to get away with some feverish eclecticism!" 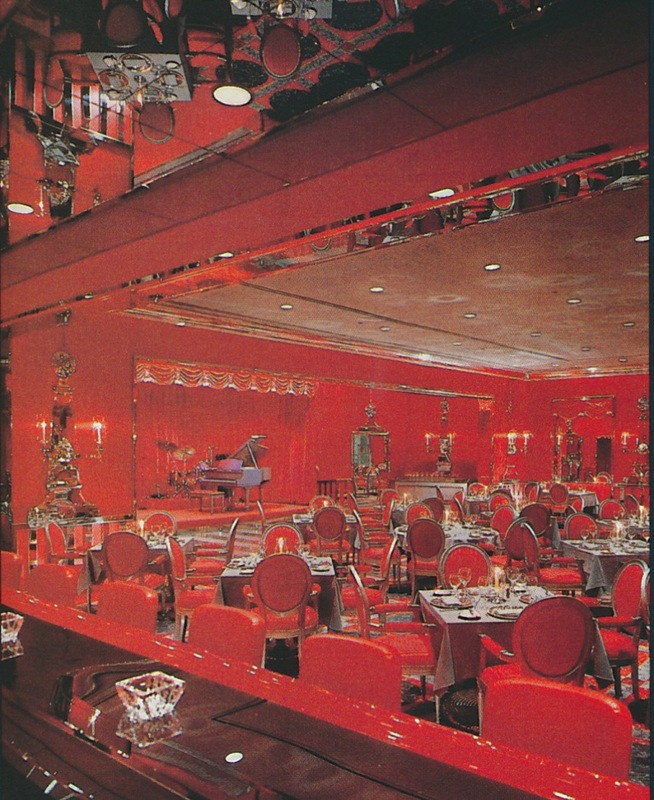 Dinner and dancing took place in red-drenched rooms, which, like the other spaces, was embellished with Rybar's profuse use of mirror. And finally, there was the Venetian Room, a private dining room that was swathed in chic black. 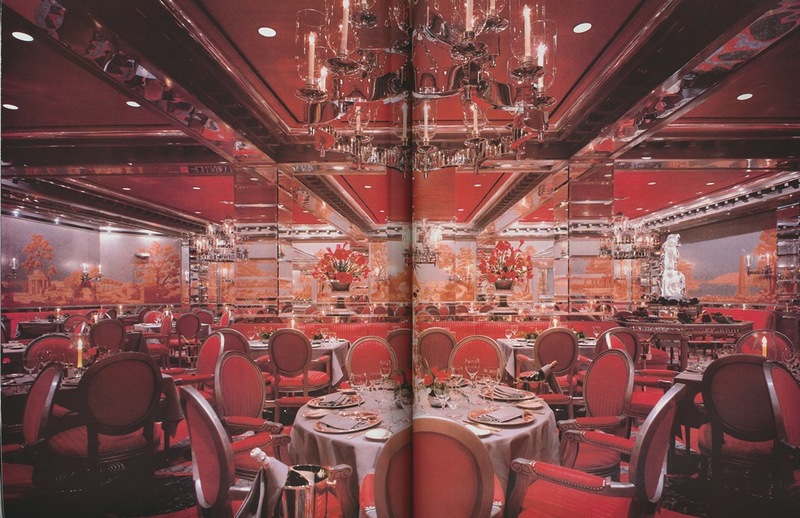 Said Rybar, "This all-black decor makes guests appear extraordinarily glamorous." 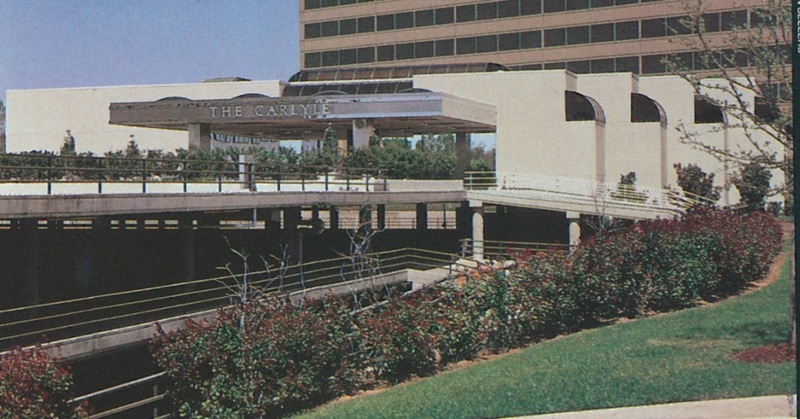 "A public space of the scale and ambition of this one will surely attract all manners of adventurers," predicted Rybar. But based on what I've read online, those adventurers never really came, forcing Farb to later close the supper club. A shame, really, because for all of the interiors' flashiness, the restaurant had a flair that, today, seems rather novel and even exciting. After a decade of dining among rough-hewn wood, industrial light fixtures, and Edison bulb-lighting, I, for one, would be thrilled to spend a Saturday night ensconced in crimson and mirror. The Entrance Foyer that was kitted out with strip after strip of beveled mirror. The Reception Room with Rybar's flamboyant interpretation of the Neoclassical style. Beveled mirror serves as architectural embellishments on the walls, while the painted domed ceiling provides a cloudy vista. The silver-metallic-lacquered piano was the finishing touch. 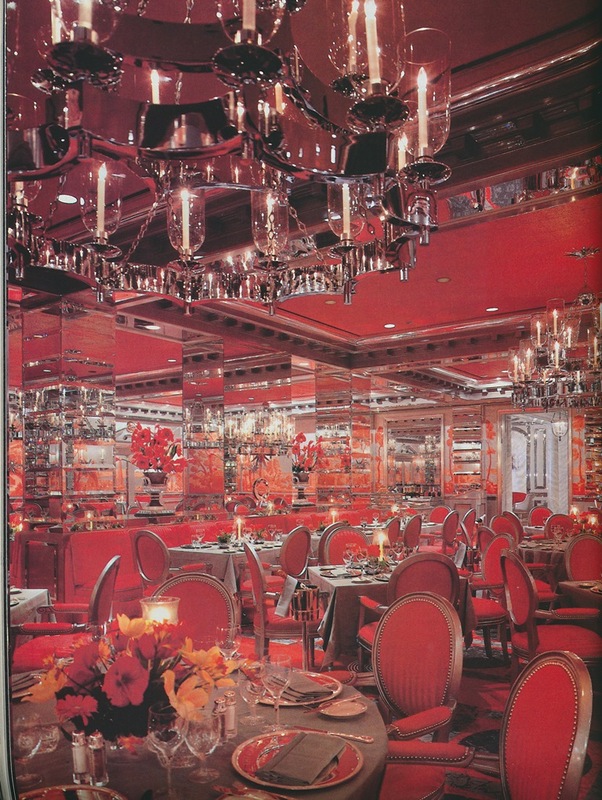 The Main Dining Room was fiery red and silver intensified by a lavish use of mirror. 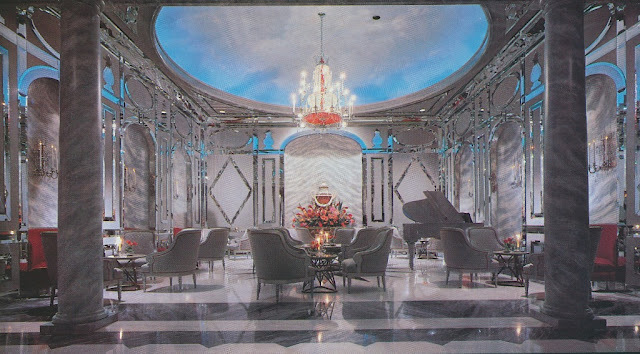 The red and silver scenic wall murals were painted by Robert Walker. Also crimson was the Red Room, yet another dining room that was also used for dancing. 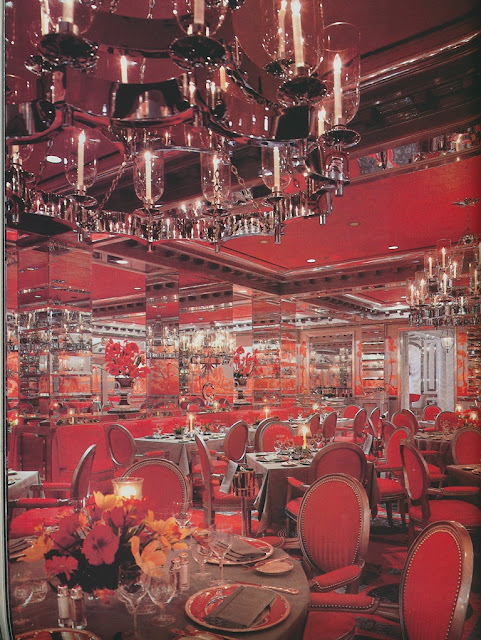 The walls were upholstered in red satin, while the carpet, a Patterson, Flynn & Martin design, had the appearance of inlaid marble. The stainless-steel panels on the wall bore paintings of nymphs and Muses. The Venetian Room, which was a private dining room. 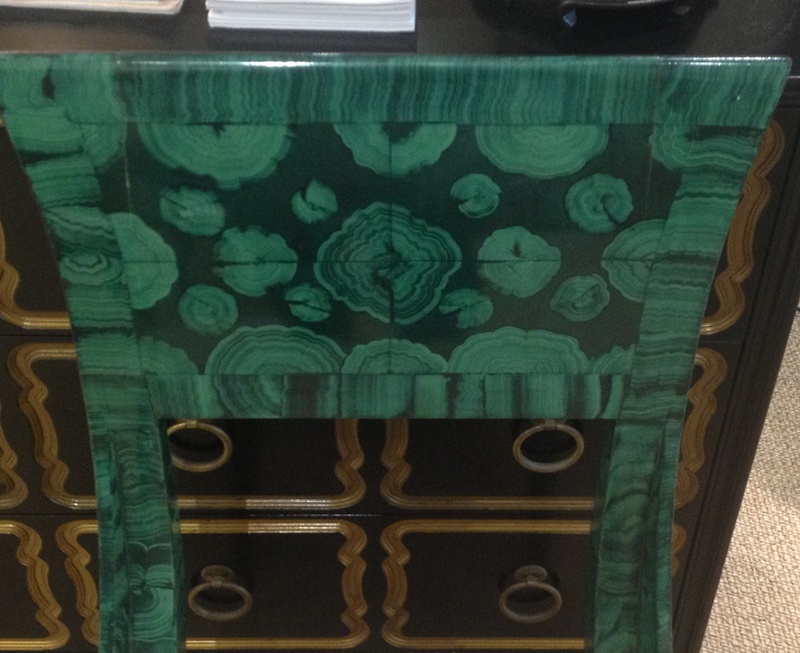 The chandeliers, mirrors, and girandoles were made in Venice of blown black glass. 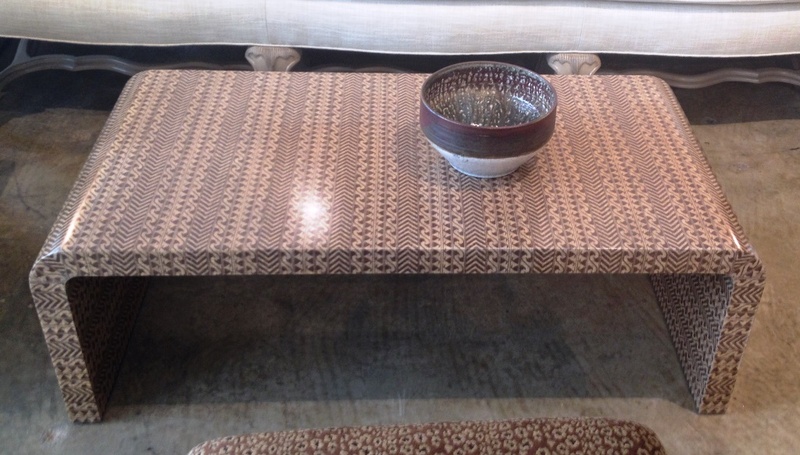 The walls were covered in a black moire fabric from Kravet. 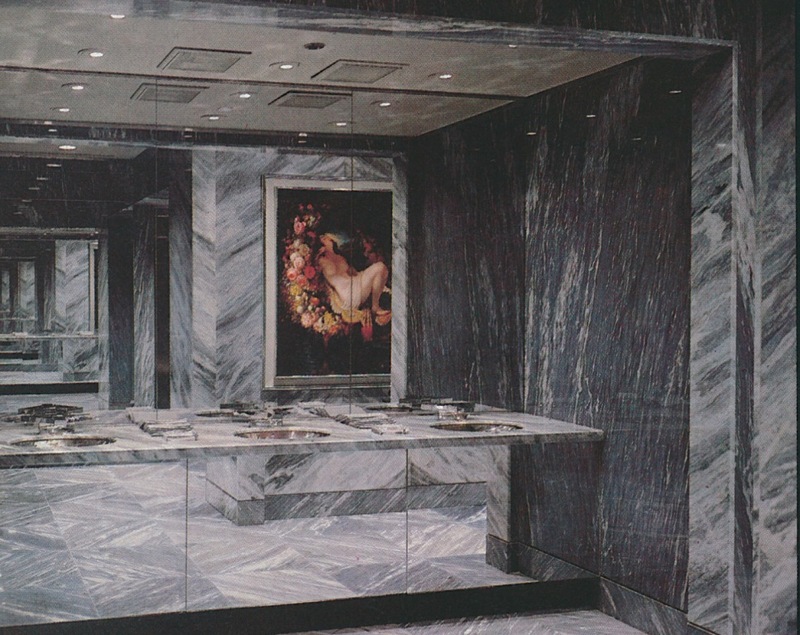 The Men's Lounge was clad in marble and mirror. 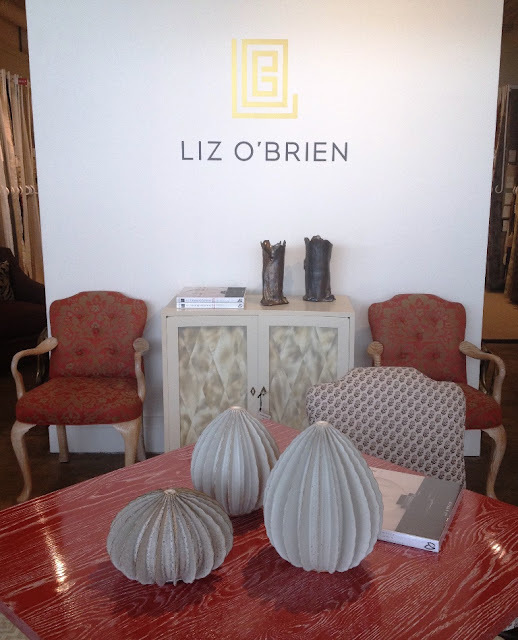 It's not often that I find a furniture collection that altogether suits me to a T, but such is the case with Liz O'Brien Editions, the brainchild of noted twentieth-century furniture dealer, Liz O'Brien. An updated interpretation of classic American design, the collection is evocative of the golden age of American decoration. 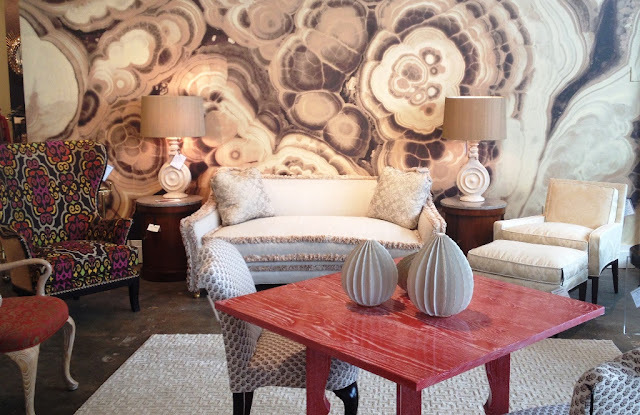 As I recently perused the collection at the Travis & Company showroom, I felt as though my favorite legendary decorators were lurking in my midst. There are side chairs that are so Frances Elkins, they bear her name, while a chic waterfall table, wrapped in a snappy fabric and lacquered, is the kind of cocktail table that Billy Baldwin might have used in his clients' Park Avenue apartments. And a stylishly simple wooden chair, embellished handsomely with a hand-painted, faux-agate finish by Alpha Workshops, would have looked quite at home in Albert Hadley's own home. 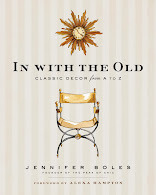 Although the Editions collection might be rooted in the American classics, don't for one minute think that it's an exercise in nostalgia. 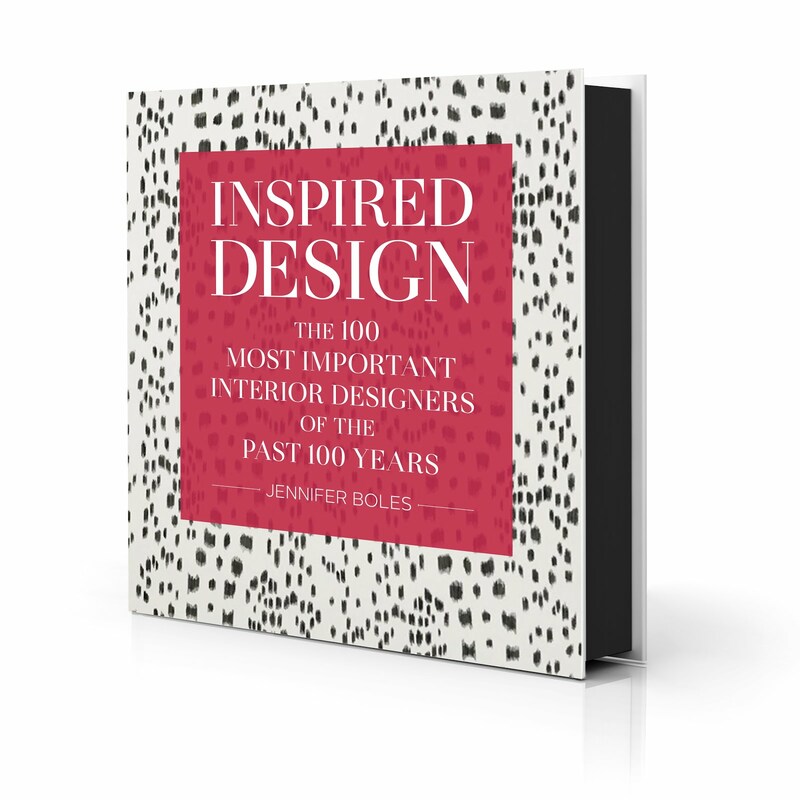 The collection feels so right for today; it's stylish, fresh, and, most important, timeless. Five years from now, you'll likely grow tired of that Restoration Hardware table you just purchased, but I can't imagine that you'll ever lose interest in an Editions piece. 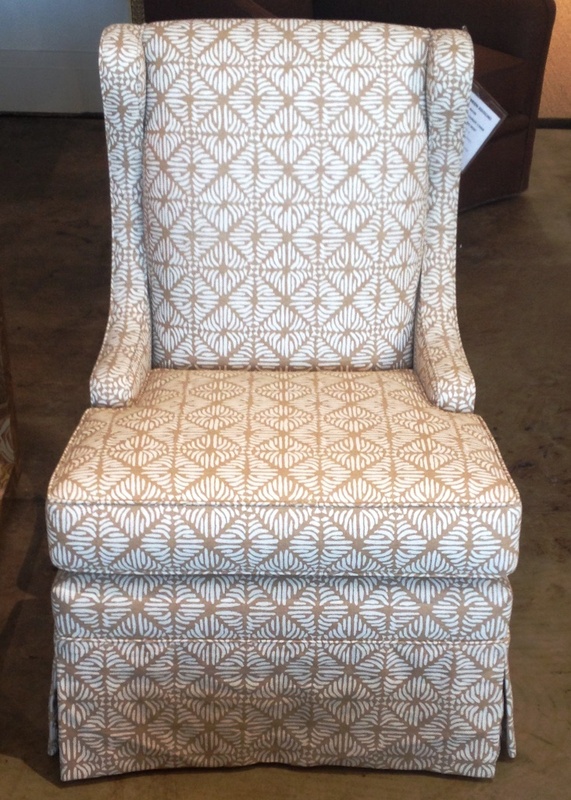 And the other thing I must point out is the line's high quality. 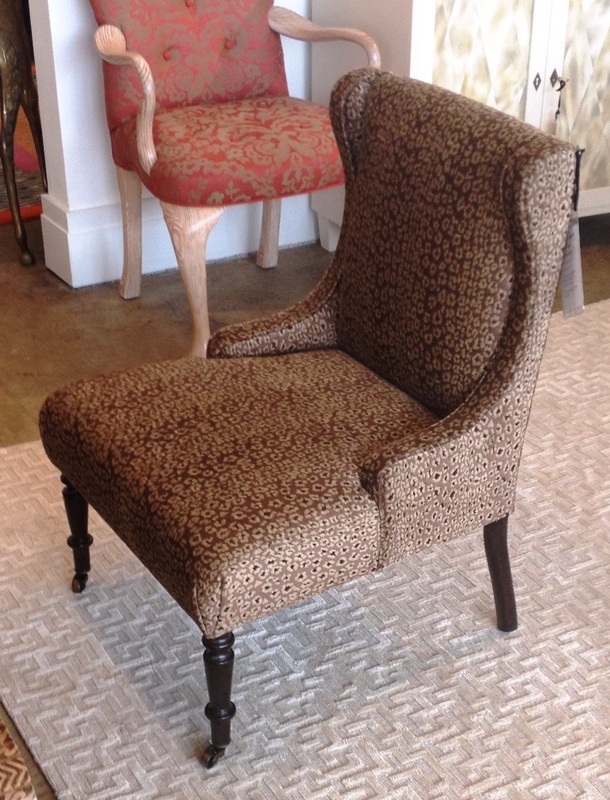 The finishes, such as cerused, hand-painted, or lacquered, are superb, while the well thought-out details only add to the pieces' allure. The collection can be viewed at Liz's Upper East Side shop, on her website, or at the Travis & Company showroom at ADAC Atlanta, where the collection has garnered rave reviews. 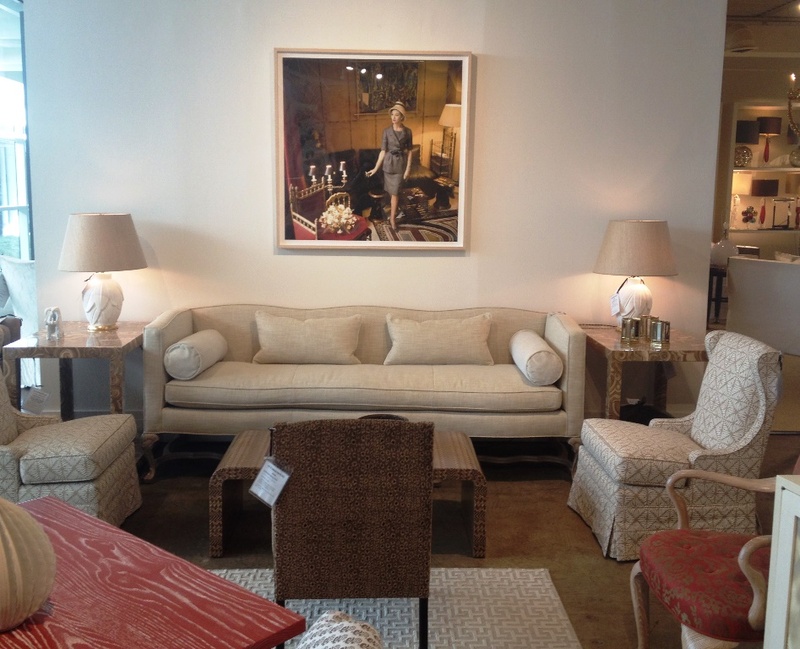 The Pamela Sofa, which is displayed beneath the Mark Shaw photograph. 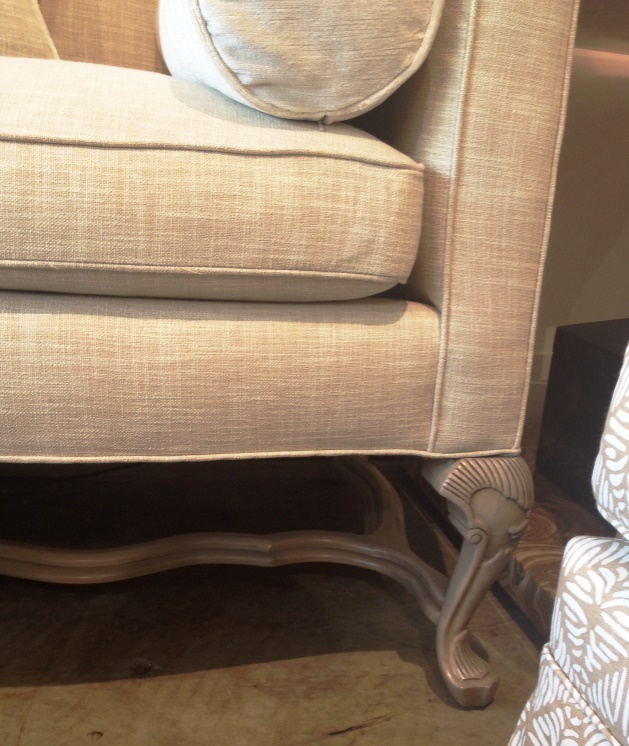 The serpentine stretcher and curvy legs (which are hand-carved) are elegant details. 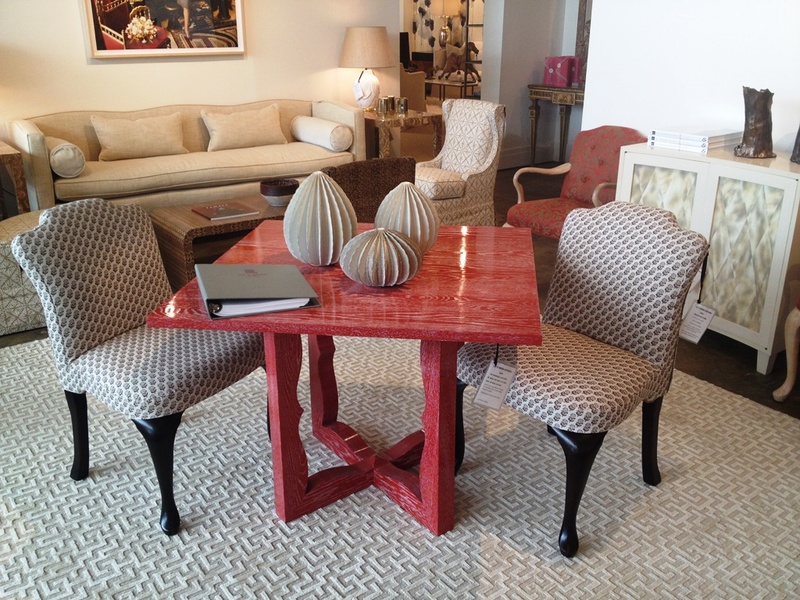 The Arabesque Card Table, seen here with a Persimmon high-gloss cerused finish, is joined by a pair of Frances Side Chairs. Alpha Workshops panel chair, painted with a faux-agate finish. 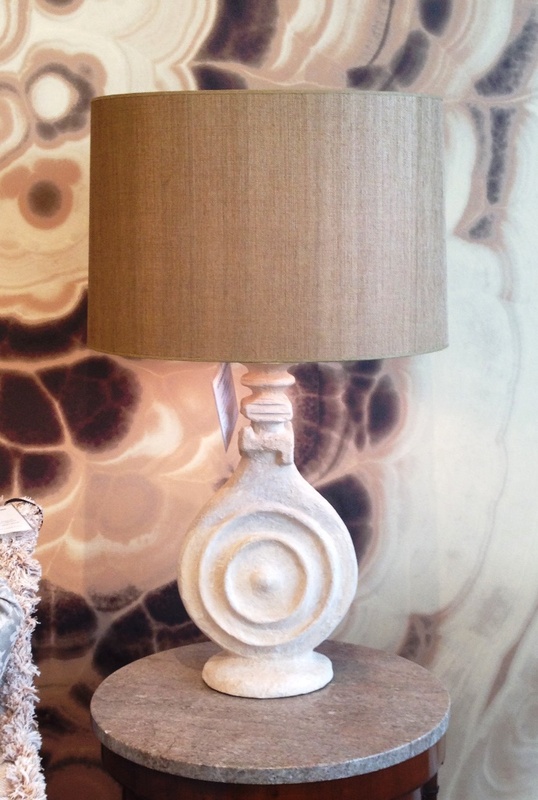 Available in other finishes as well. 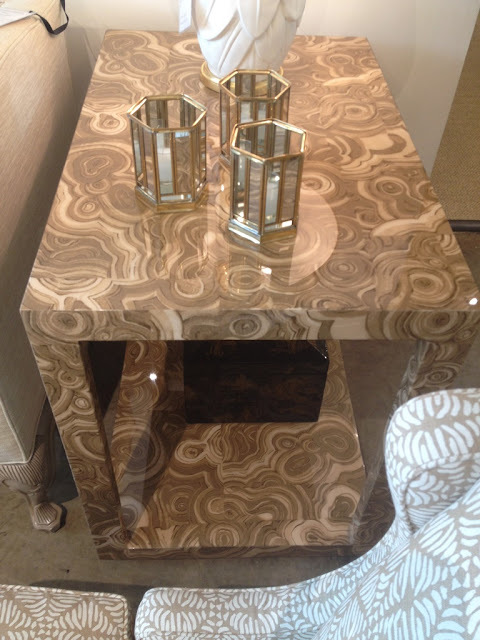 One favorite piece of mine is the Hilton Table, which is wrapped in fabric (here, in Travertine Beige fabric) and then treated to a durable, high-gloss finish. And I'm mad- and I mean really mad- for the mini-hurricanes, which are also part of Liz's collection. 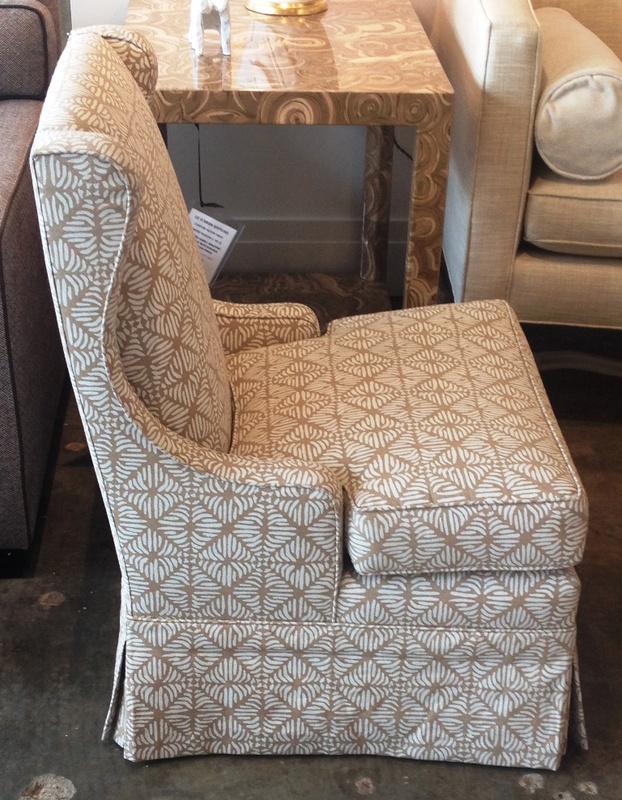 The Madeleine Lounge Chair, which I'm also crazy about. 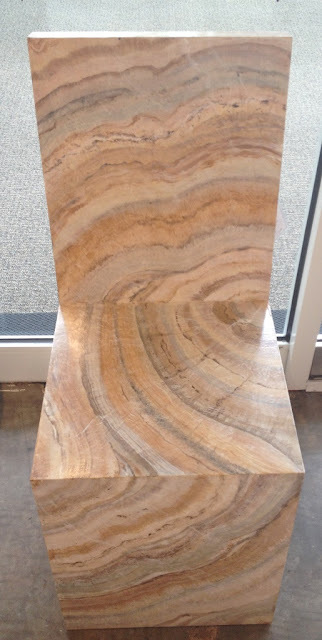 It's very comfortable, too. 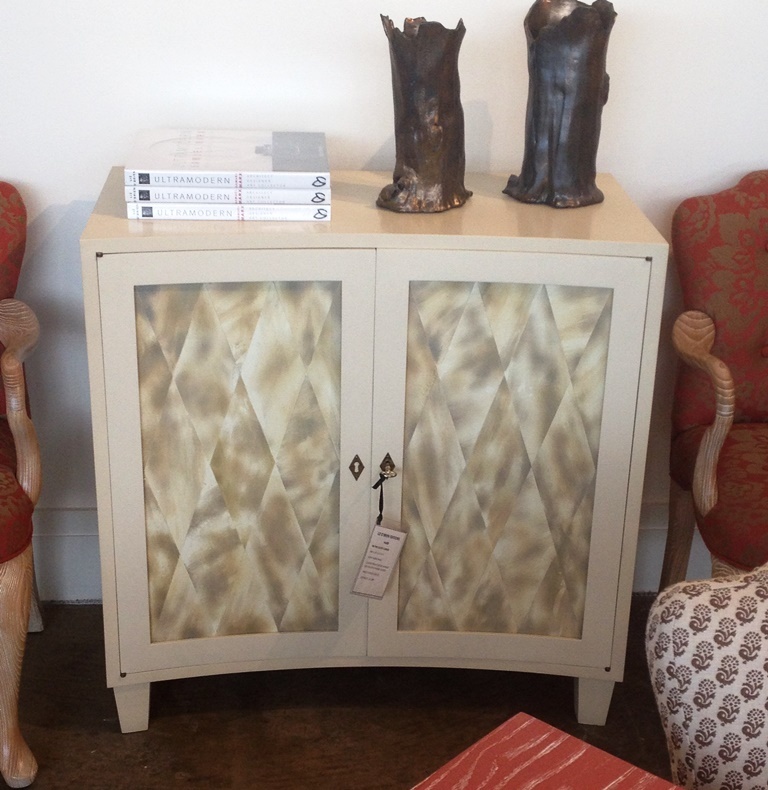 The Two Door Cabinet has painted paneled-doors. I couldn't resist snapping photos of this set of four vintage chairs, also available at Travis & Company. 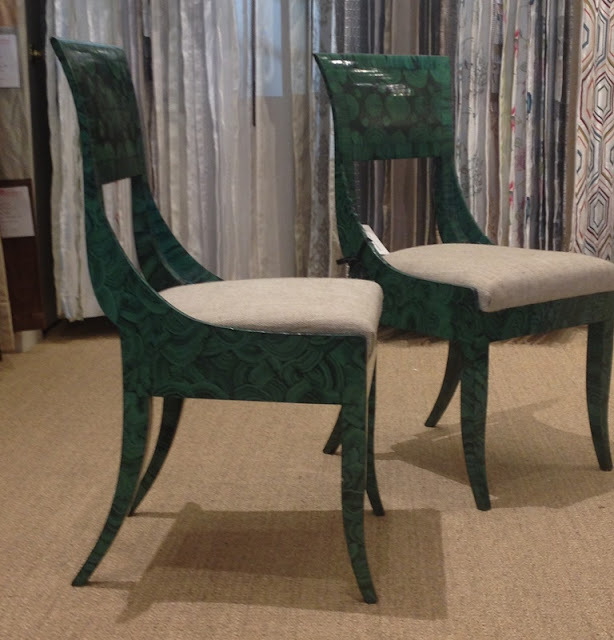 I love both the faux-malachite finish and those shapely saber legs. 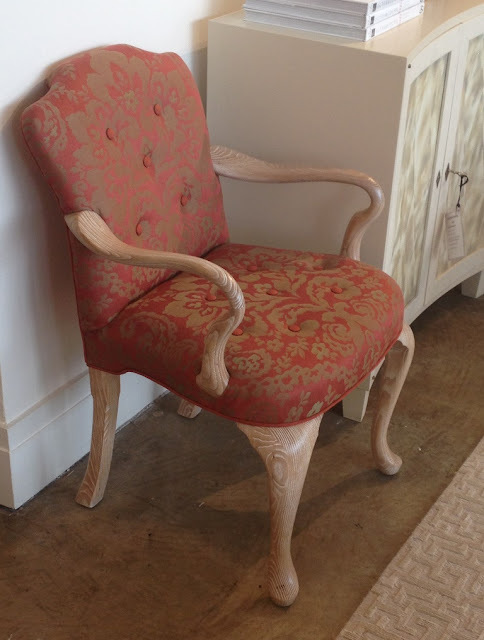 Dennis Schuhart, President of Travis, always finds the best vintage and antique furniture, which is sold alongside the showroom's many fabric, furniture, and accessory lines. To inquire about the malachite chairs, please contact the Travis showroom at (404) 237-5079. When I first saw these 1983 Architectural Digest photos of Nan Kempner's house in Purchase, New York, I was a bit surprised at how low-key its interiors were. 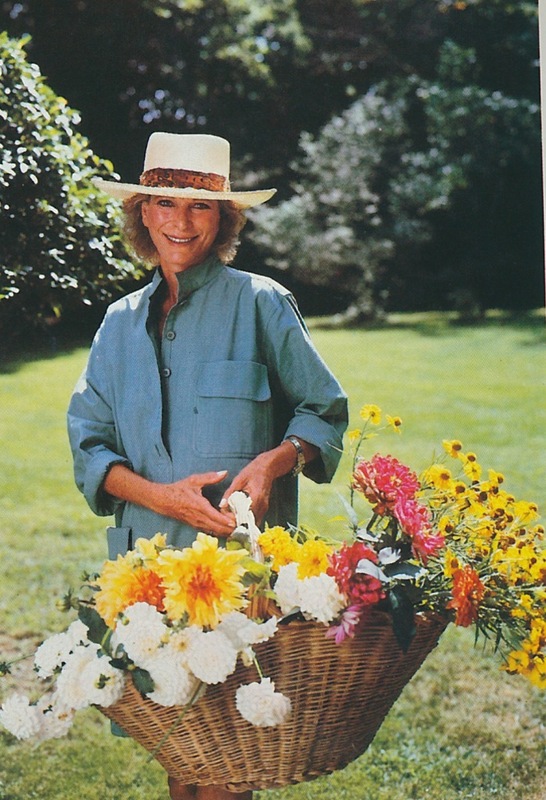 I had assumed that this doyenne of high-fashion would have had a high-style country dwelling. It seems that some of Kempner's friends assumed the same. 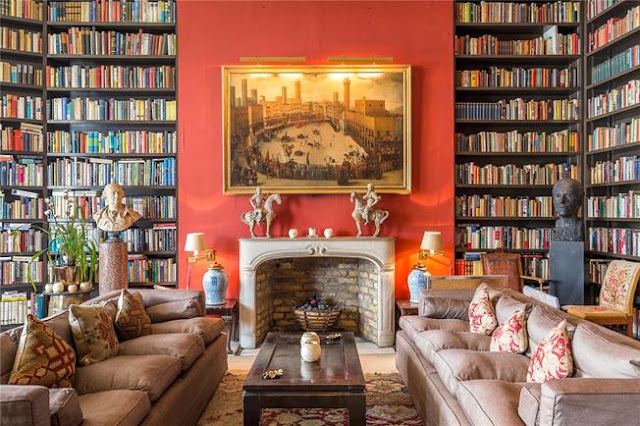 "I suppose they have a certain perception of me, and when they see this casual, even cozy setting, they're rather surprised, even shocked," admitted Kempner. 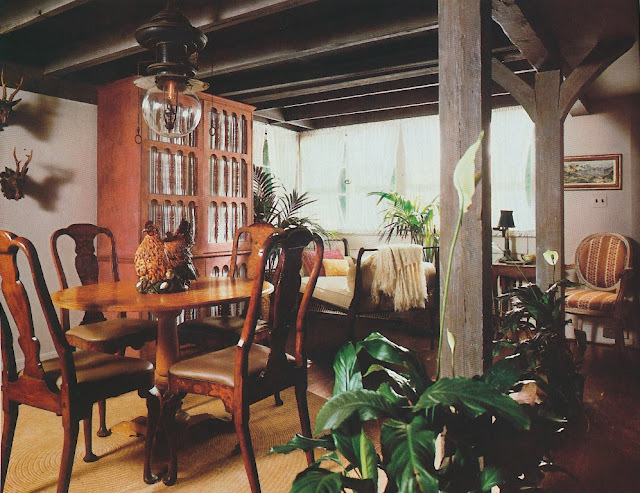 But rather than be disappointed by the home's somewhat plain interiors, I actually find them refreshing, even if they're not quite to my taste. It's nice to see a country house that doesn't try to be something it's not. 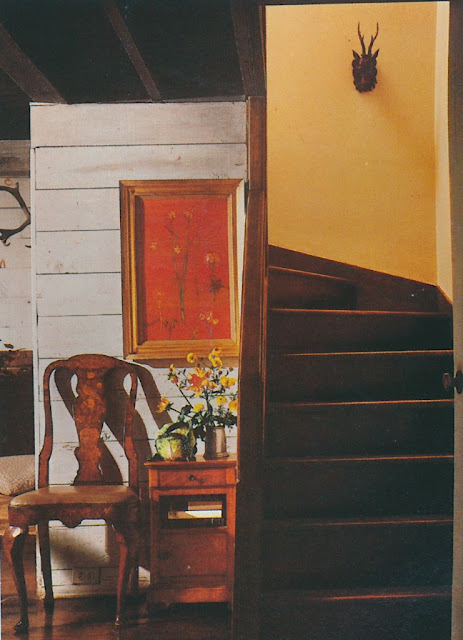 One reason for the home's casual tone is that it was a converted 1930s-era barn, which was located on an estate owned by Kempner's in-laws. 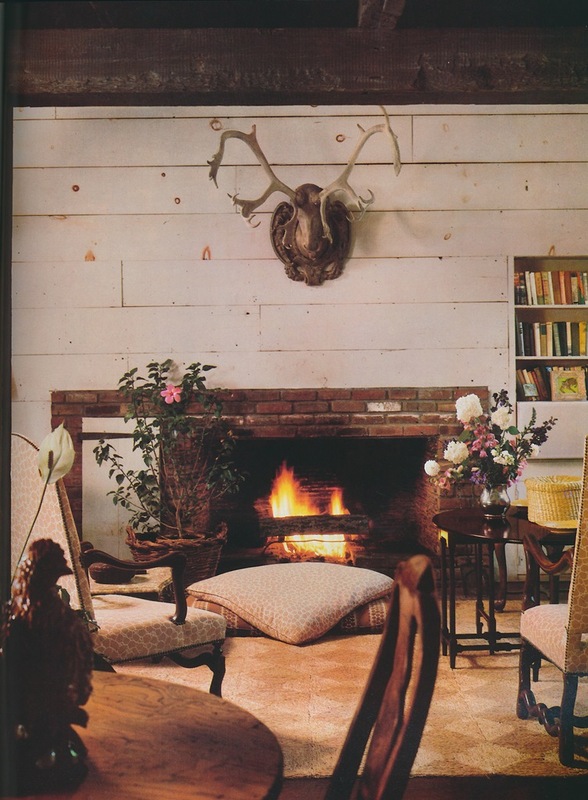 Inside the house, rustic elements, such as barn siding, wooden beams, and sisal rugs, mingled with antique furniture that, while refined, seemed at home in the country. 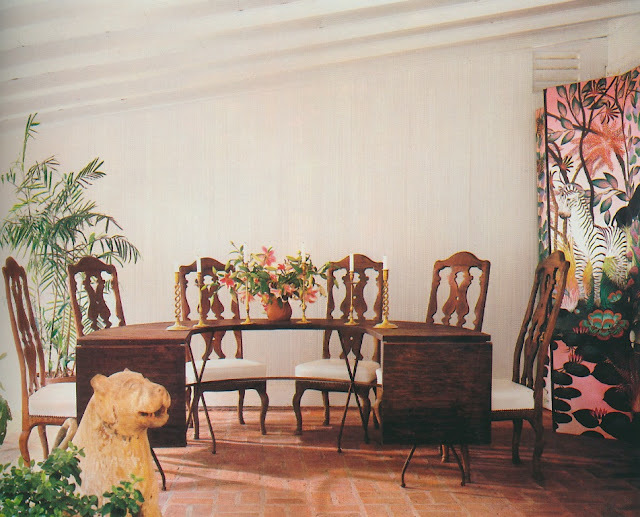 Kempner, by the way, credited the home's decoration to John Fitzgibbons, although she admitted to adding pieces picked up on her many travels. 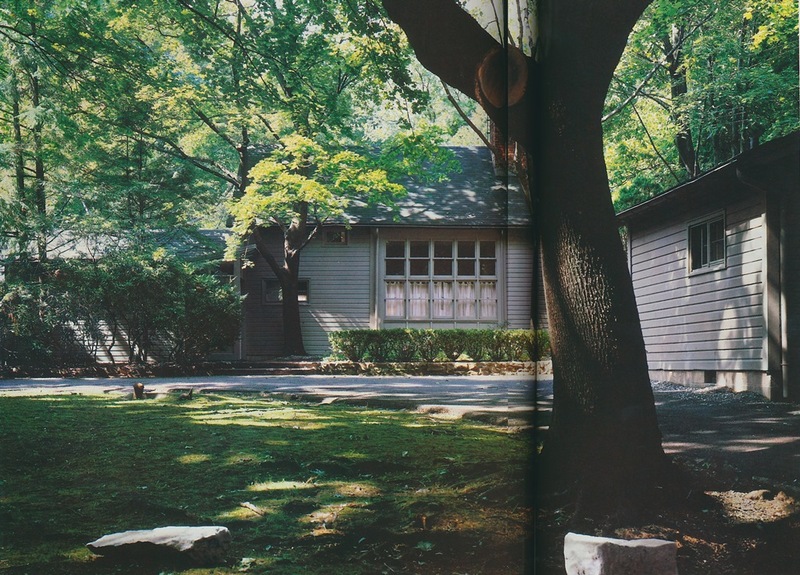 "It's not a done house, it's undone," said Kempner. "Luxury comes in the special country details- fresh flowers, homemade preserves, and vegetables from the garden, for my guests." 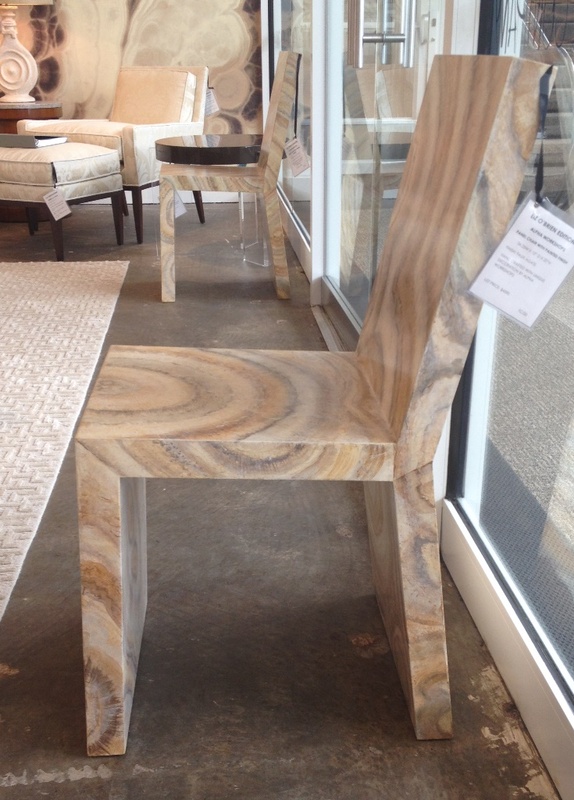 These might be simple luxuries, but they sound pretty grand to me. 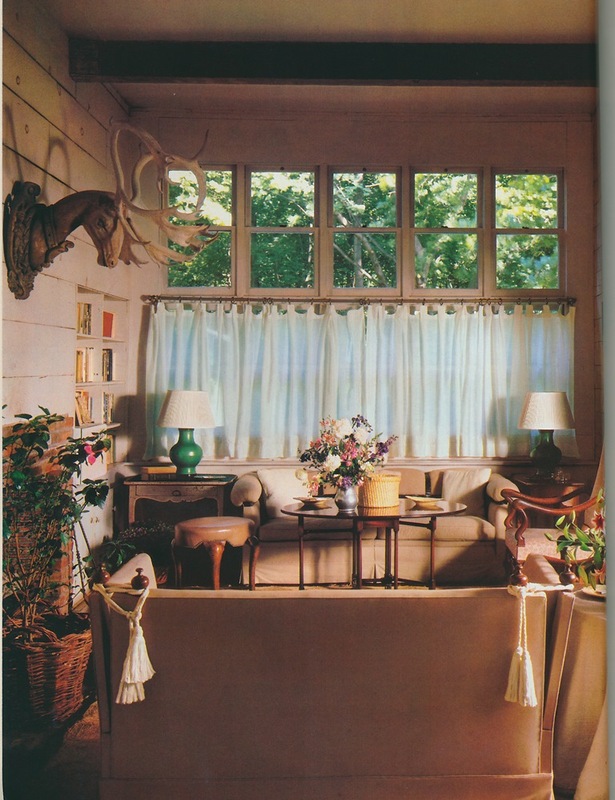 The living room had barn siding on its walls. The deer head is made of carved wood. 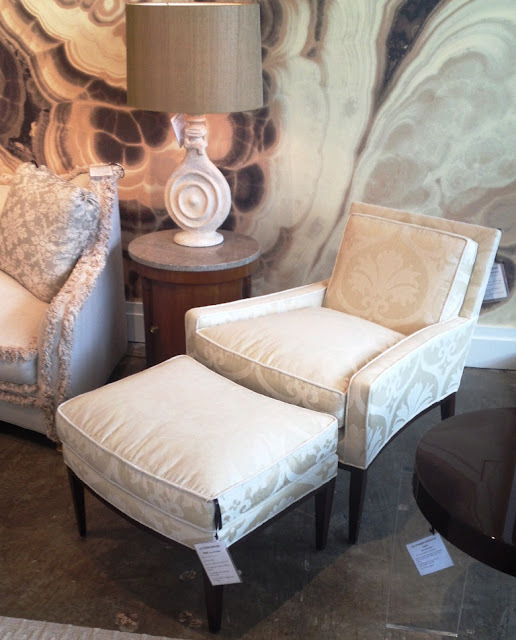 The living room also had a comfortable mix of upholstered and antique seating. 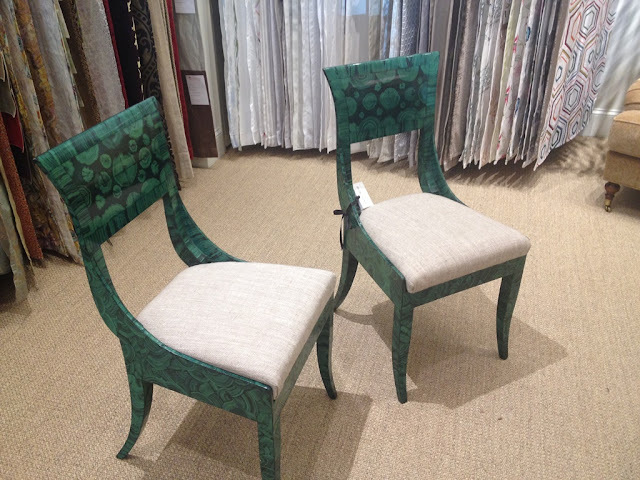 In the dining room, the Dutch marquetry dining chairs were purchased in London. The screened terrace served as a summertime dining room, where guests were seated at a demilune dining table. Next to the stairway, a Fleur Cowles painting was displayed. Another country luxury? 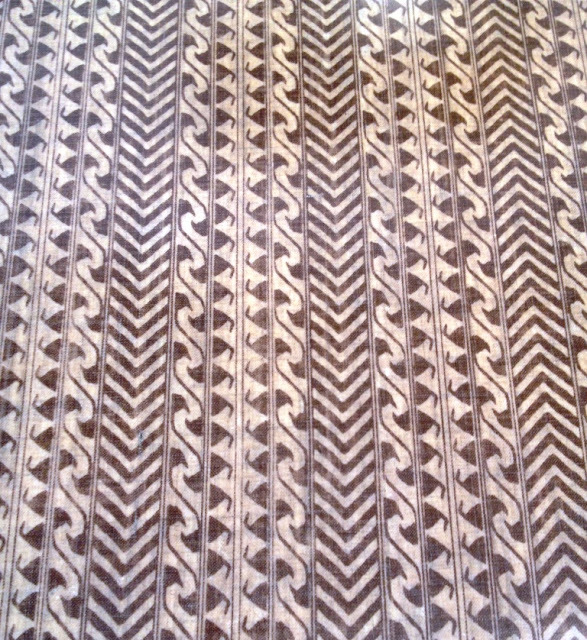 Porthault linens, which dressed the master bedroom. 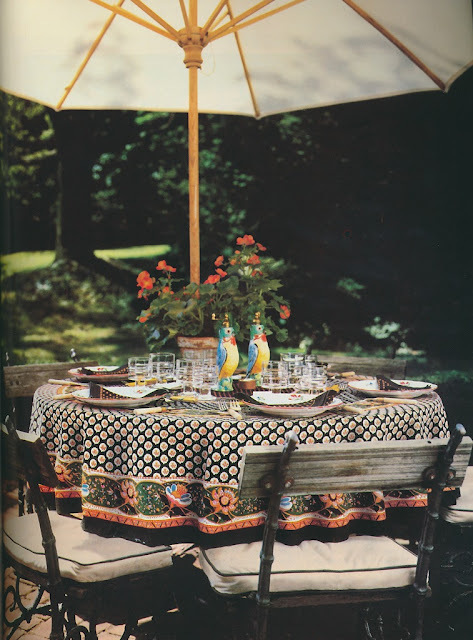 Casual French flair on an outdoor dining table. All photos from Architectural Digest, April 1983, Peter Vitale, photographer.